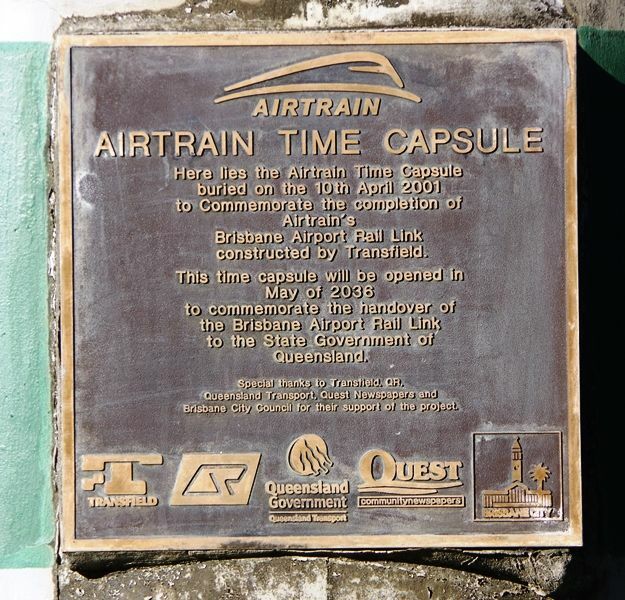 The time capsile commemorates the completion of the Brisbane Airport Rail Link in 2001. 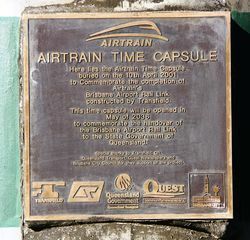 Here lies the Airtrain Time Capsule buried on the 10th April 2001 to commemorate the completion of Airtrain`s Brisbane Airport Rail Link constructed by Transfield. 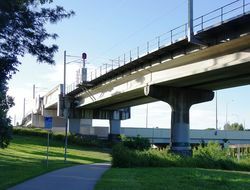 This time capsule will be opened in May of 2036 to commemorate the handover of the Brisbane Airport Rail Link to the State Government of Queensland. Special thanks to Transfield, QR, Queensland Transport, Quest Newspapers and Brisbane City Council for their support of the project.